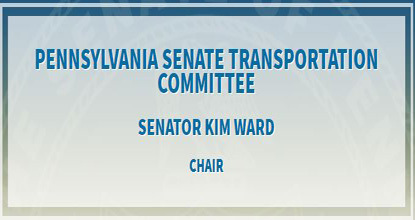 The Senate of Pennsylvania President Pro Tempore, Joseph Scarnati, announced this month that Senator Kim Ward would be the new Chairperson for the PA Senate Transportation Committee. Ward moves into the position after serving the last two years as the Chair of the Labor and Industry Committee. As Chairperson of Transportation, Ward will help guide legislation and policy in the Senate related to roads, rail, air transportation, and mass transit. “I am looking forward to the challenge and the ability to be a strong advocate for transportation related matters for Western Pennsylvania,” stated Ward. Ward is the first female Senator to Chair this influential committee. Senator Kim Ward will assume an additional position within the Senate Republican Caucus when the current legislative session kicks off this month. Republican President Pro Tempore Joseph Scarnati appointed Ward to the position of Majority Caucus Administrator this month. The position is a recognized leadership position within the majority republican caucus. The job includes assisting the other caucus leaders in establishing legislative and policy priorities, along with coordinating official Senate guest chaplains for each session. “It’s an honor to receive this appointment, and I intend to be a strong advocate for the republican caucus,” stated Ward. The appointment is a two-year appointment. Senator Ward visited the Hempfield Area High School for a presentation by STEM literacy students of their collaborative classroom project. The students called their company Z Innovations (because they are the Z generation). They came up with their ideas, researched those ideas, raised money and then put it all together from paint colors to lighting to table shapes. 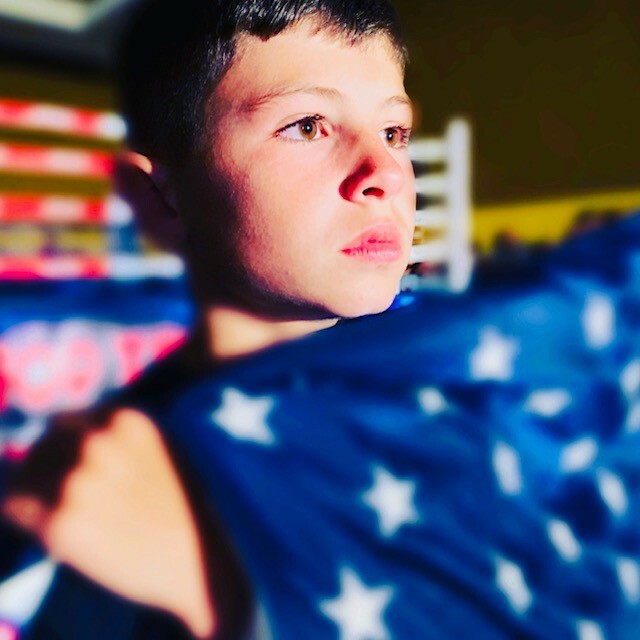 Alexander (Xander) Eddy, a fourth-grade student at Sunset Valley Elementary School in North Huntingdon, is the youngest American ever to win the Pan American Kickboxing Championship. He won the gold medal in the male open weight 9 year old category for Team USA during the World Association of Kickboxing Organization Pan American Championships, held in Riviera Maya, Mexico. Senator Ward attended the annual Critter Cruise held at the Greensburg Salem High School. This event brings together students from Greensburg Salem High School and Nicely Elementary School to learn about animals up close and in person. 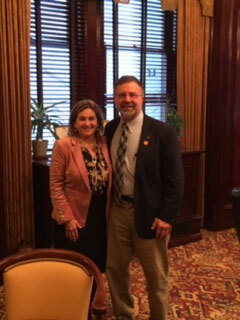 Senator Ward met with constituent Rick Ebert, President of the PA Farm Bureau, to discuss issues relating to farm vehicles. REAL ID is a federal law that affects how states issue driver’s licenses and ID cards if they are going to be acceptable for federal purposes, such as boarding a domestic commercial flight, or entering a military installation or federal facility that requires ID. Getting a REAL ID is optional for Pennsylvania residents. Cards will be available in March 2019 to Pennsylvanians who want them. If you do not get a REAL ID, you must have an alternate form of federally-acceptable identification (valid passport, military ID, etc.) to board domestic commercial flights and enter certain federal facilities after October 1, 2020. You can find more information about REAL ID, including how to apply, here. More: Is a REAL ID for me? The Pennsylvania Department of Transportation is seeking hardworking college students for employment from early April through October for the 2019 Summer Maintenance Program. Work includes assisting in the completion of seasonal maintenance work, crash system input and analysis, and maintenance and custodial services at roadside rest facilities. Many students also perform laboring and flagging duties in maintenance organizations and at highway worksites. To be eligible for consideration, candidates must be at least 18 years of age, enrolled as a full-time college student for the fall 2019 semester and have a valid Pennsylvania driver’s license. The hourly rate is $13.56. Apply online no later than Feb. 15. Pennsylvania’s Do Not Call list is updated four times a year. 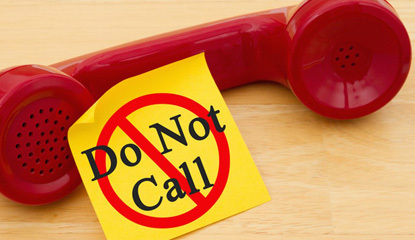 Telemarketers purchase the Do Not Call list quarterly and have 30 days to remove names and numbers on the list from their own call lists. If you miss the quarterly registration deadline, it will take up to 120 days for your number to appear on the list. Registration can be done online through the PA Attorney General’s Office.